The beauty of Japan lies in its peaceful lakes, gardens and mountains. Today we head out to a mystical lake in Akita. 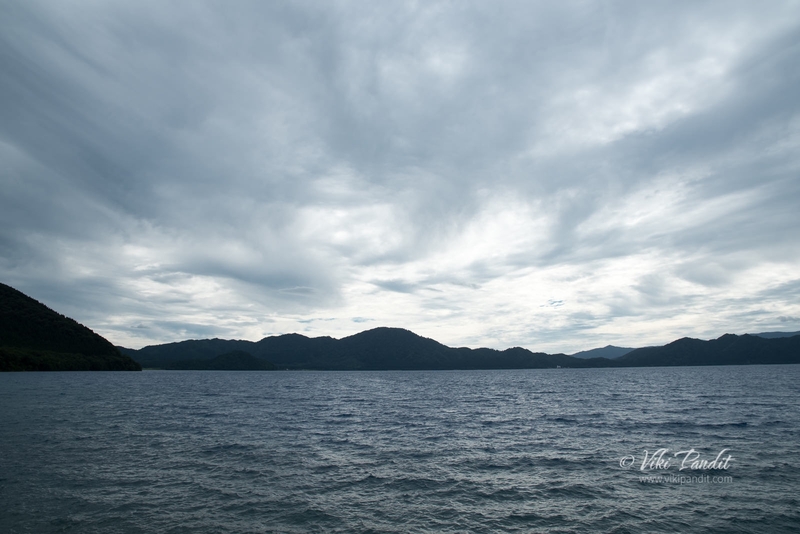 Lake Tazawa is a caldera lake in the city of Semboku in Akita Prefecture. With a depth of 423 meters, it has the distinction of being the deepest lake in Japan, but more interestingly the lake finds a reference in the folklores of Tatsuko, a young maiden from In-nai, who wishing for everlasting youth and beauty, is said to have been cursed and turned into a dragon on the shores of this very lake. 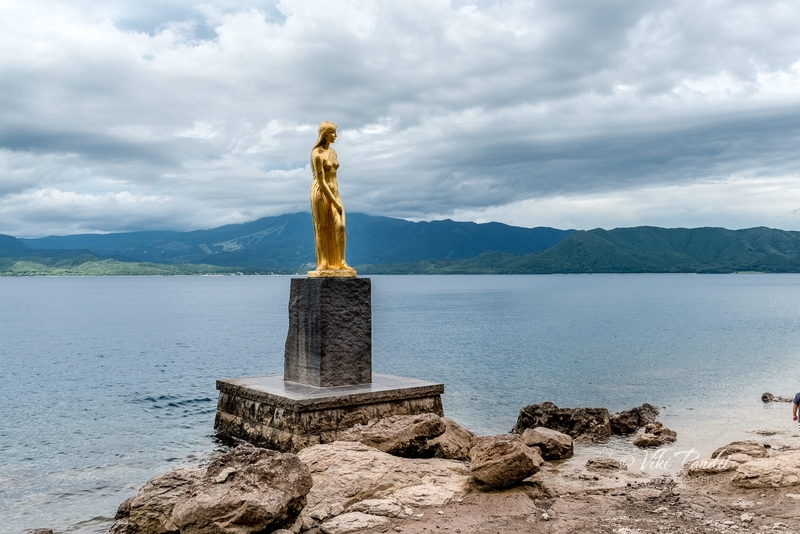 Today in her remembrance, a golden statue of Tatsuko created by Yasutake Funakoshi in 1968, stands at the edge of the lake with her back to the clear blue waters, a figure of purity, love and beauty. It was a beautiful sunny day. 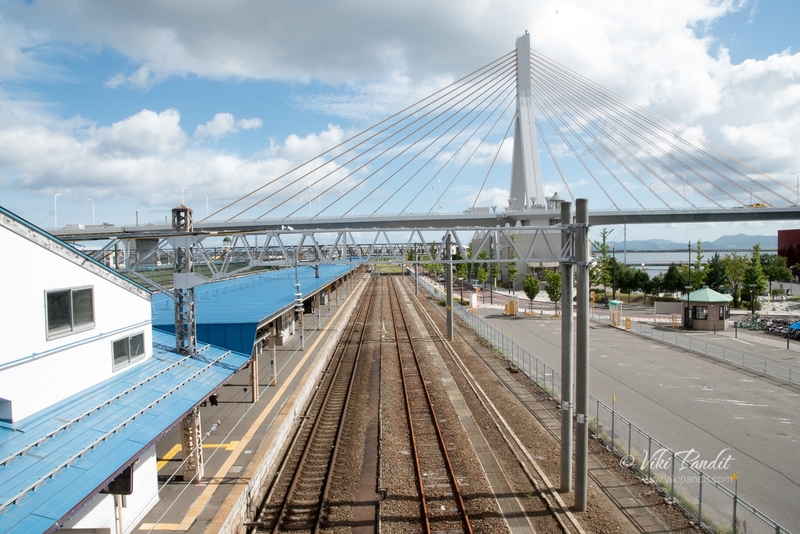 After a light breakfast at the hotel APA, we walked down to Aomori Station. 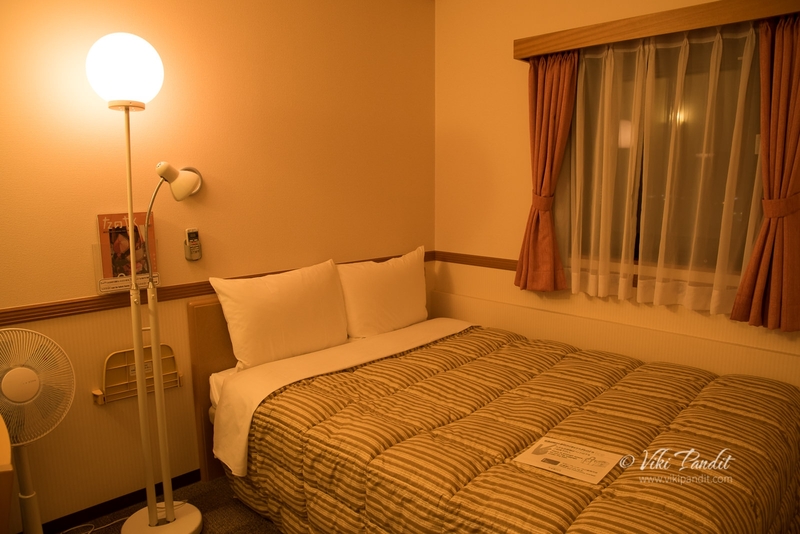 APA Hotel is very conveniently located near the Matsu bay and the JR Aomori Station, and is highly recommended if you are staying in Aomori. 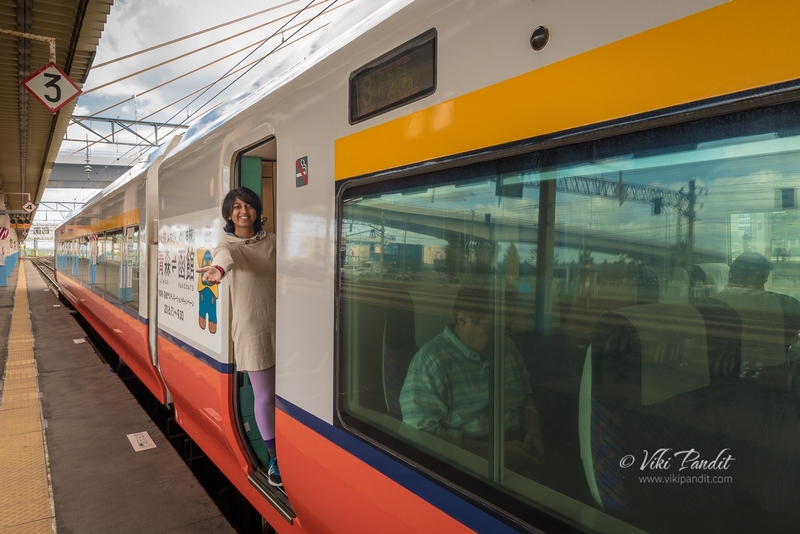 From Aomori we took the 9 am Tsugaru Limited Express to Akita. The train was mostly empty all the way. 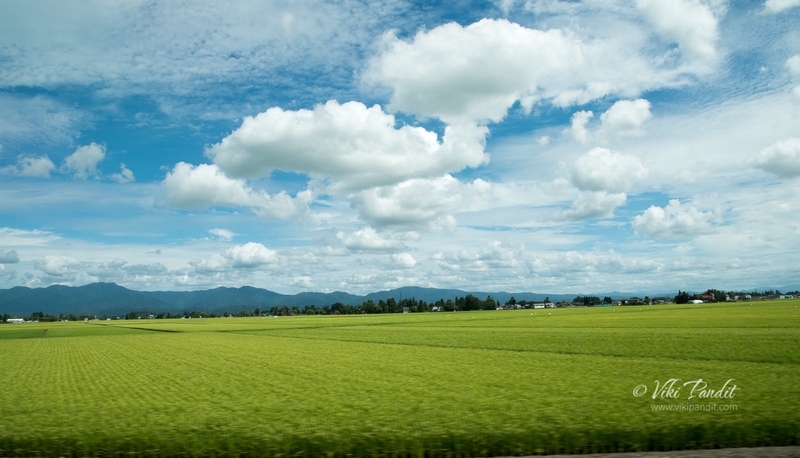 The journey takes around 2 hours and 45 minutes and runs through beautiful wooded mountains and endless farmlands. It was 1 pm by the time we reached Akita. 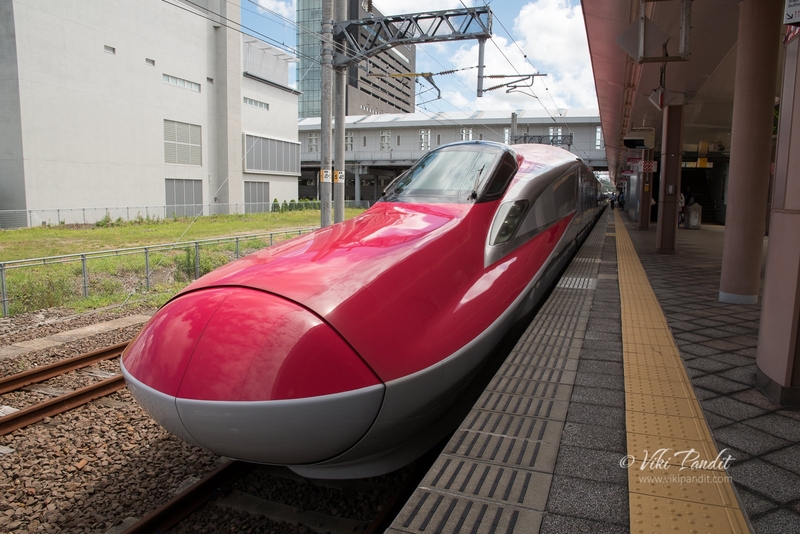 We dropped off our luggage at the Toyoko Inn, where we would be staying for the night in Akita, and then after a quick lunch, took the Akita Shinkansen Komachi to Tazawako Station. It takes about an hour to reach Tazawako Station from Akita. At the Tazawako Station, the lady at the tourist information corner helped us buy round trip tickets on the Ugo Kotsu bus. The bus tickets costs 1200 Yen and it takes visitors on a scenic bus trip around the lake to three popular spots along the circumference of the huge lake. The bus runs at fairly regular intervals and we were at the lake-front in 20 minutes. Our first stop was the lake’s eastern viewing point which is surrounded by a big parking area. On the left one can find many shops, restaurants and rental bicycle stores. Across the road, on the other side, one can find the sightseeing boat pier. The sightseeing boats operate from late April to early November and taking visitors up to the Tatsuko statue and back. It was early afternoon yet the sun had disappeared behind thick clouds and a strong breeze followed. We decided against the boat ride on the lake which at the moment looked pretty precarious in the strong winds. We spent some time walking along a narrow path by the lake watching some daredevils on water-mobiles jetting across the lake. In summer, the area is popular for water sports such as sail-boating and jet-skiing. Many outdoor leisure spots like a ski area and camping sites are close by. After some time, we went back to the bus stop and waited for the next bus as we munched on a snack of warm French fries from one of the local eateries. The buses come at regular intervals and we didn’t have to wait long before one came along.. The bus was somewhat full but we didn’t have any trouble getting us a couple of seats. After a short ride surrounded through dense cedar forest we were at Katajiri bus stop. The driver told us he would stay at the stop for 30 minutes. 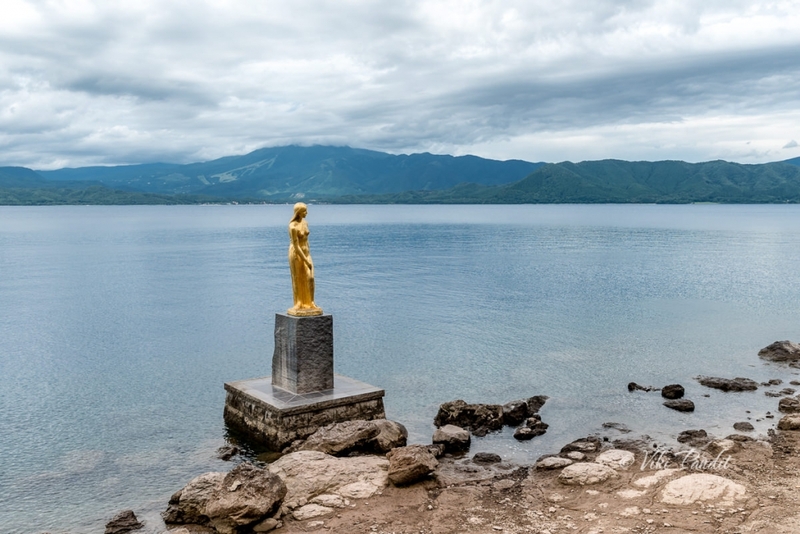 On this western shore, lies the fabled golden statue of Tatsuko, a legendary princess who was transformed into a dragon, for she wished for eternal beauty. After a short walk, we were there at the bronze statue of Tatsuko, where she stands in all her beauty – like a girl coming out of the blue waters of the lake. There are many versions of this mysterious legend – perhaps no one knows the ‘original’ or ‘authentic’ version of it, because it has been orally passed down through generations. Tatsuko, a girl from In-nai area, was known for her beautiful appearance. Comprehending that her beauty would not last forever, she started to visit a nearby shrine at the foot of Mt. Okurasan. She would visit there dedicatedly, night after night to make this wish. Eventually on the 100th night, she finally received a message from the god of mercy, telling her to go north and find a holy spring. She told her to take a sip from that spring. Tatsuko, left her home and traveled across the mountains. Finally, she found the holy spring that she was told about. Delighted, she took a sip as told in the message. As Tatsuko was drinking the water from the holy spring with her delicate hands, she felt more and more thirsty. She was drinking so breathlessly and mindlessly that she started to have her face to the water. Next moment, heavy clouds appeared over the mountains, bringing a thunderstorm. Soon, the pouring rain washed out everything and caused a landslide down to the lake. The lightnings were so blinding that Tatsuko couldn’t even see herself. When it finally calmed down, she saw her reflection in the water change as she turned into a dragon. The legend doesn’t stop here. It goes on as when Tatsuko had gone missing for way too long, her mother became anxious. She wandered into the mountains searching for her precious daughter. She went deeper and deeper into the mountains and finally, found the holy spring. She desperately called her daughter’s name. The calling was heard by Tatsuko, who had now become a dragon. Soon Tatsuko disappeared into the water. The poor mother was so agonized. She screamed at the misery of her only child and threw the burning torch into the lake. As the fire was instantly put out, the torch became black and soon turned into a school of fish – which we know as the Kunimasu. The Kunimasu trout almost went extinct some 70 years back. Prior to 1940 it was the main species of fish in Lake Tazawa. Sadly, most of the fish died in 1940 when a hydroelectric project made waters of Lake Tazawa highly acidic. 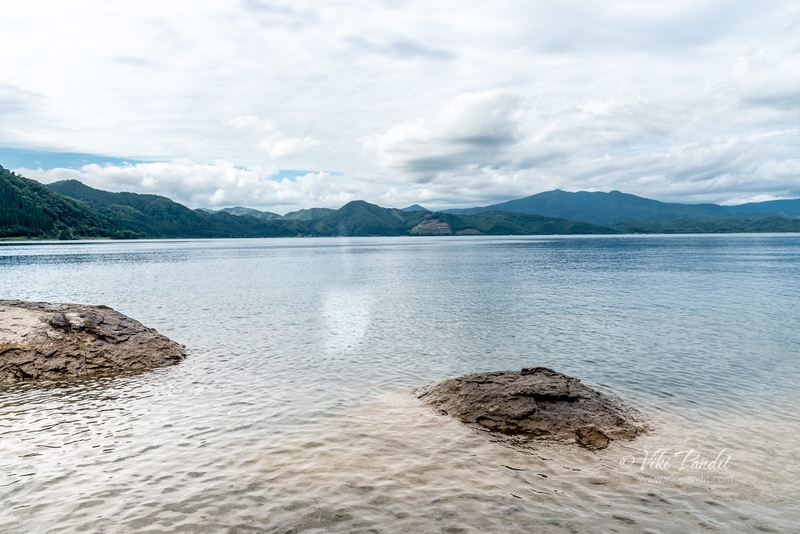 Luckily about 100,000 kunimasu eggs were preserved and seeded into the Saiko Lake before the hydroelectric project construction fouled the waters of Tazawa, which just about saved it from going extinct. This legend also has a sequence which involves Tatsuko and another dragon from Lake Hachirogata, Hachiro-Taro, and a monk of Lake Towada. The story is called Legend of Three Lakes. It tells about the hunter Hachirotaro who was also turned into a dragon and lost a battle against a monk named Nansonobo at Towada lake, subsequently becoming the creator of Hachirogata lagoon in Oga peninsula. 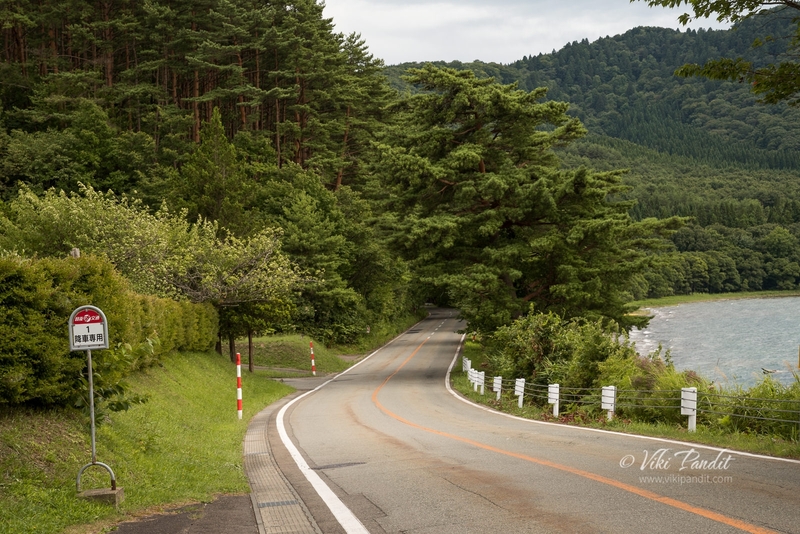 When Hachirotaro heard about the beauty of Lady Tatsuko he went to Tazawa lake to meet her. 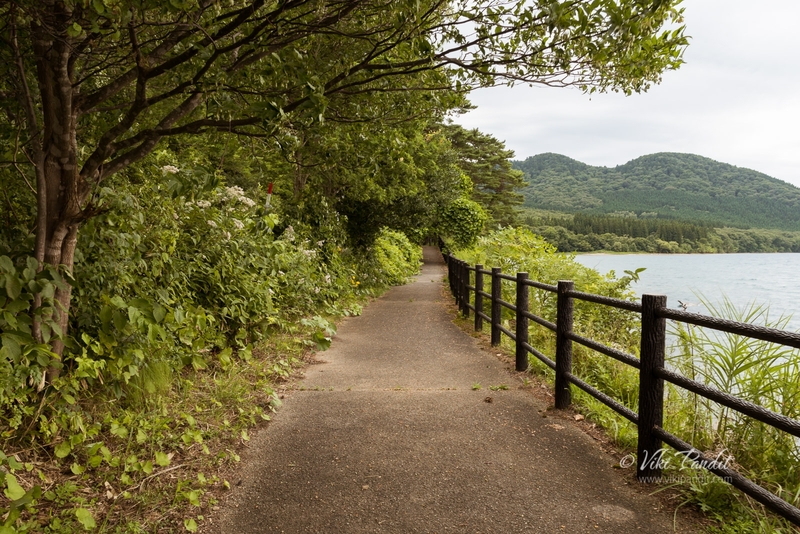 The two became lovers, but then Nansonobo, who also heard about the lady’s beauty, came to the lake as well and began a new battle with Hachirotaro, this time for Tatsuko. This time the winner was Hachirotaro and every winter he travels from Hachirogata lagoon to Tazawa lake to be with his lady-love. According to local belief, the reason why the lake doesn’t freeze in the winter is because of their love. Now the lagoon does not exist anymore, which they deduce to be that the two live together at Tazawa lake all year round. I have always loved to hear stories like these and I had a great time visiting the places that are refer to in them. Beside Tatsuko’s statue, lies the Ukigi shrine. 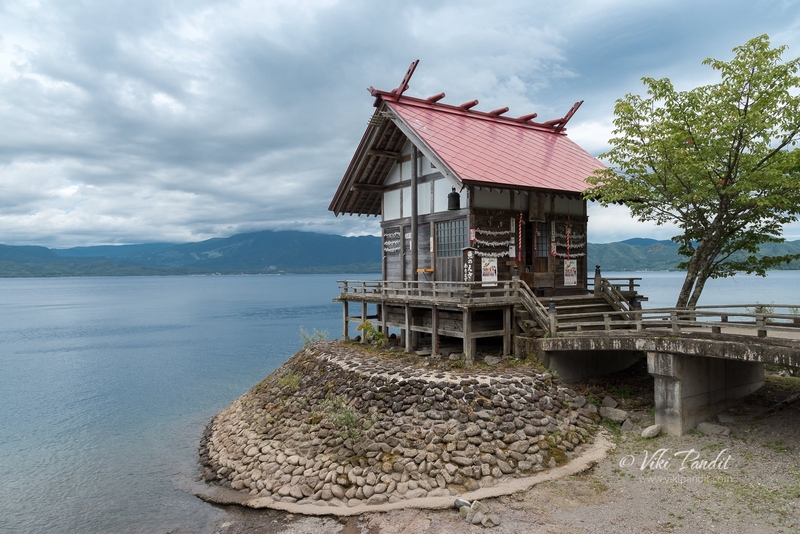 The shinto shrine built of plain wood, juts out over Lake. It is uncertain when the shrine was built, but in 1769 the haiku poet and Chinese scholar Soshu Masuda named it Kansagu. Local people however prefer to call it “Katajiri Myojin” and worship the lady Tatsuko as a deity of fishermen’s good catch. 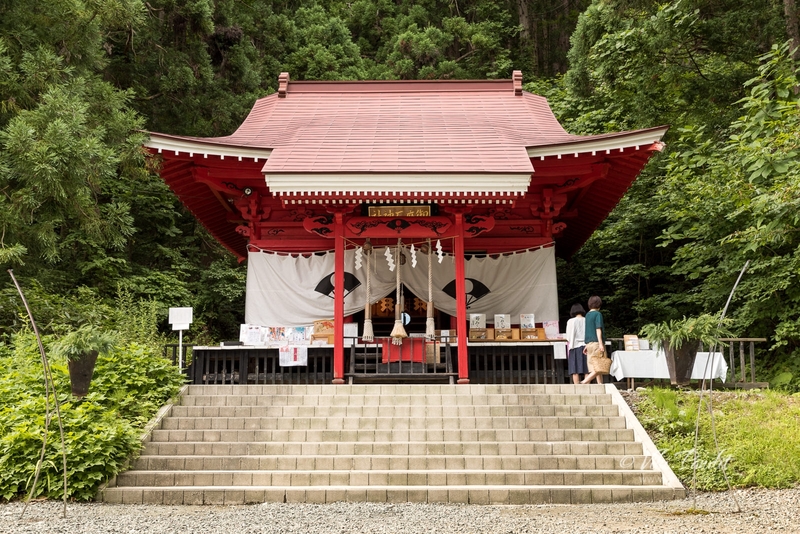 The shrine symbolizes the love of Tatsuko and Hachirotaro and is known as a place to pray for love. The bus stops here for about 30 minutes. We had a quick look around and then caught the same bus to our next and final stop to Goza No Ishi shrine. By 4.30 we had reached Gozanoishi jinja mae bus stop. The northern end of the lake is popular for the Goza no Ishi Shrine. The lake looks most amazing from here. The breeze had pushed the gray clouds away and the sun was shining on us again. 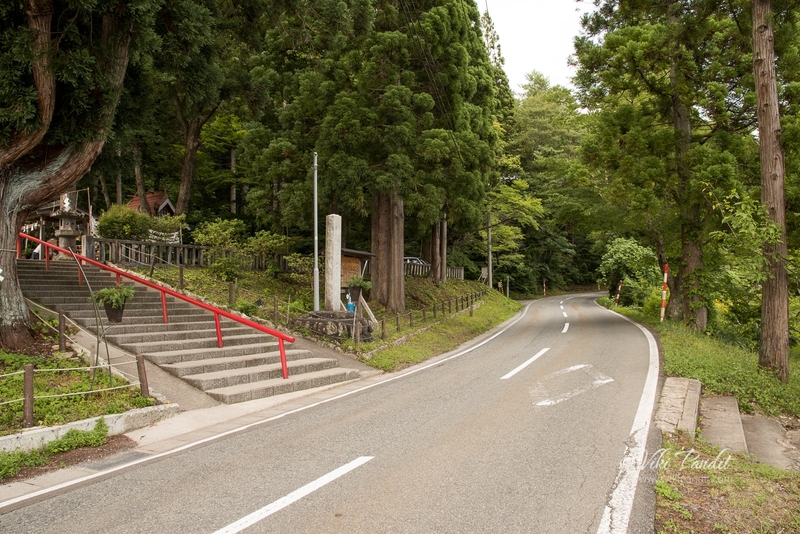 Gozanoishi Shrine is now a symbol of Lake Tazawa. 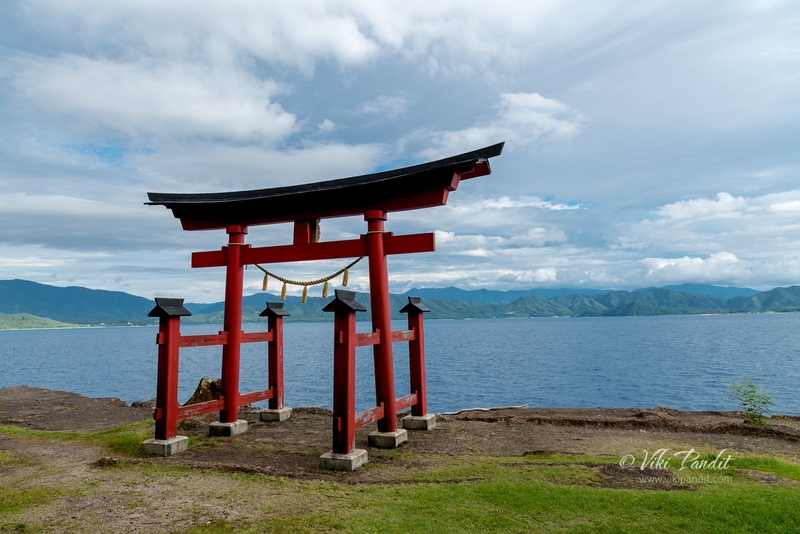 The striking red torii gate, facing one of the most picturesque viewpoints on the lake, is simply the most captured in photographs, just as much as the golden statue of Tatsuko on the western side of the lake. We paid our respects at the shrine and then wandered around to the lovely red Torii listening to the lapping sound of the gentle waves. After taking some pictures, we went back to the waiting bus caught the bus. We were back in Tazawako Station within half an hour or so. At the Tazawako Station, the Shinkansen wasn’t due for another hour. So, we just hung around the station for a bit. 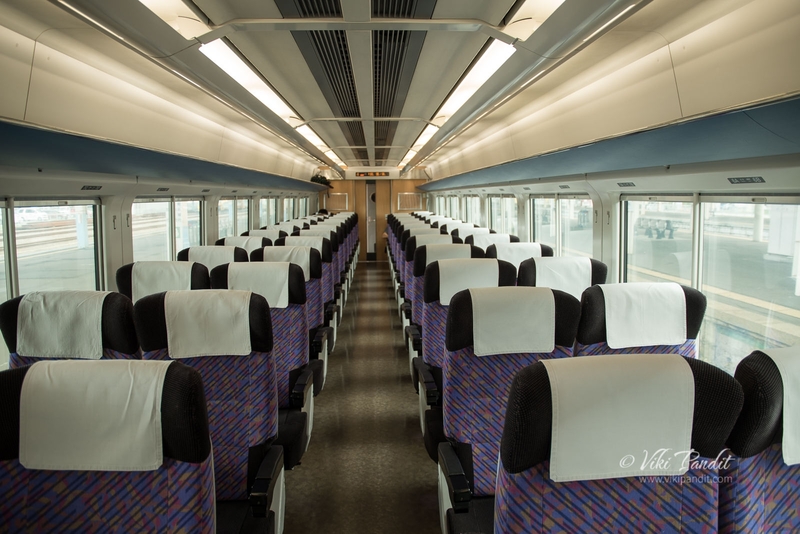 At 6 pm we caught the Akita Shinkansen Komachi to Akita. 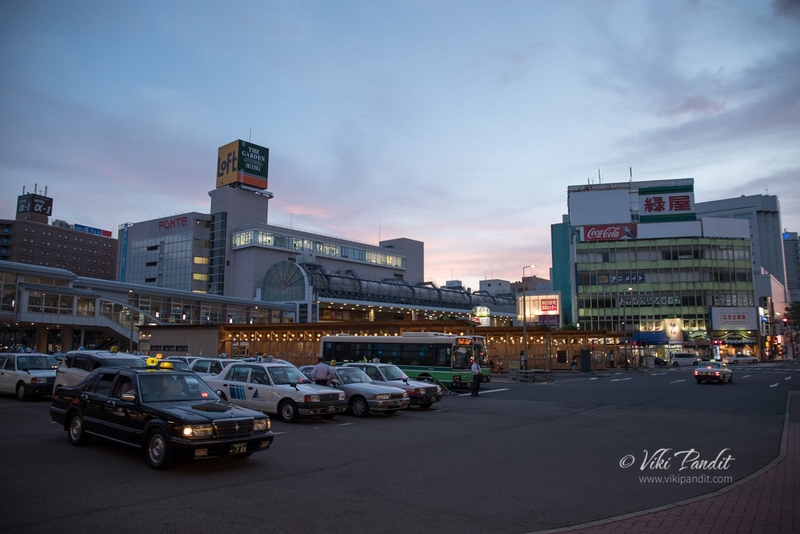 It was late evening by the time we reached Akita. The Toyoko Inn Hotel was right next to the station building so we didn’t have to walk much. The bed at the hotel looked inviting after the long day. Even though the gray skies dampened the stunning beauty of the Lake, we had an incredible time discussing the stories of Tatsuko. The majority of the lake’s waterside is wild and undeveloped and it imparts a sense of being in isolated in nature, away from concrete constructions. Hotels and rest houses are scattered along the shores of the lake if one wants to spend a night in natures lap. 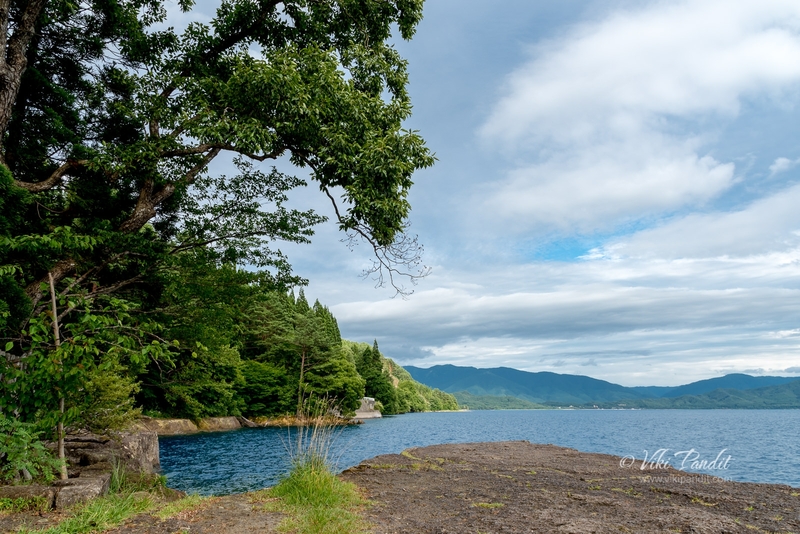 The deepest lake in all of Japan, the depth of its waters is reflected in the depth of the experience of visiting it. 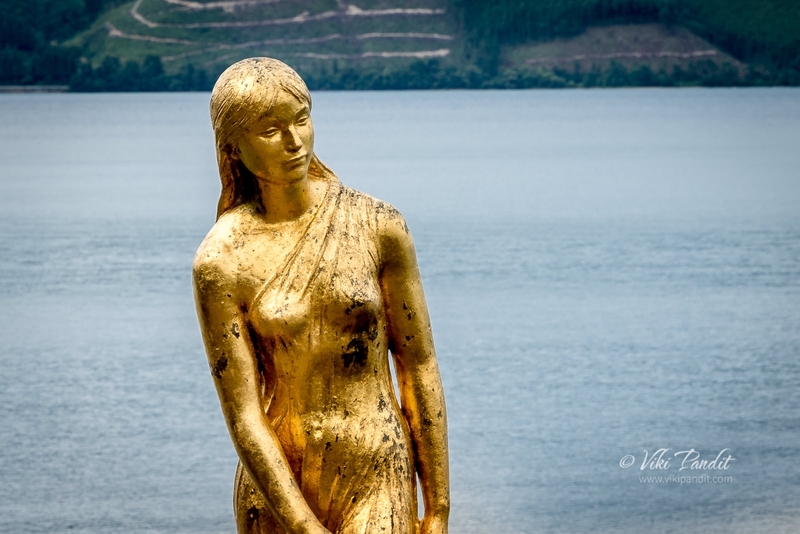 In addition to the wild and serene atmosphere of the lake itself, the iconic statue and her melancholy fate stirs the strings of the heart.